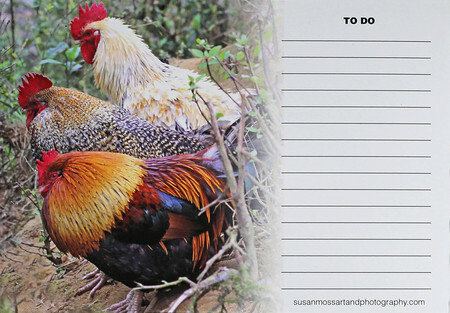 Roosters 'To Do' Fridge Magnet with white board marker, packed in a cello bag. Write on your shopping list with the included white board marker and then wipe off and keep re-using. Perfect for gift giving here or overseas. If the postage works out less than what you have paid I will refund the difference happily.